A Florida man was arrested Tuesday for murdering his neighbor in a chilling execution that was reportedly captured on camera, according to police. 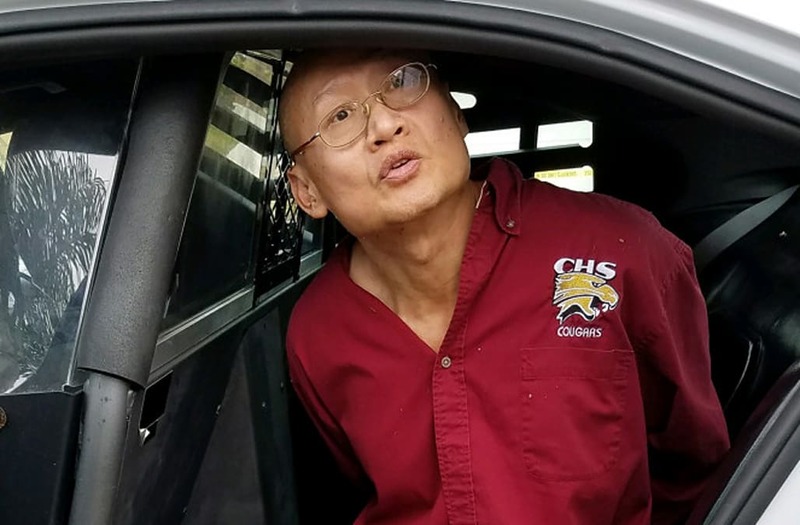 60-year-old Qiu Feng Ke told detectives he had been planning the death of his neighbor, Edward Tudor, 37, for some time and had no regrets. The suspect even reportedly had a will be notarized with the intention of hanging himself after the murder, according to an affidavit obtained by The New York Post. Ke told detectives Tudor was inside his home studying when he unlawfully entered the residence to “surprise and harm the victim." Surveillance footage from outside of Tudor's home showed the victim to be unarmed while holding a small dog when Ke first shot him. Once local authorities arrived, Ke, who told police that his neighbor had never threatened him or made efforts to harm him, reportedly exited Tudor's home with two magazines and said he had been involved in a shooting. According to the affidavit, Ke grabbed brought two loaded handguns and two additional magazines to Tudor’s home to kill him. He has since been arrested for premeditated murder with a firearm and is being held in the Land O’ Lakes Jail in Florida.